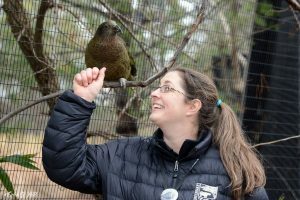 Animal Care Staffers Awarded Grants for Wildlife Conservation Projects Worldwide! 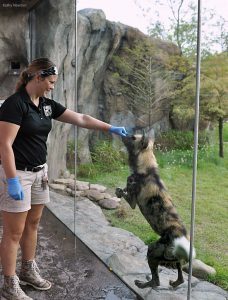 The animal care team at the Cincinnati Zoo doesn’t just care for animals at the Zoo – but also their wild counterparts! 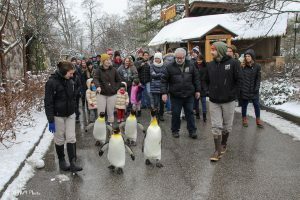 This year, the Cincinnati Zoo & Botanical Garden’s Conservation Committee received a record number of proposals reflecting a growing interest by many at the Zoo to do even more for wildlife conservation than they already do in their daily work here. We’re so thankful for such a dedicated and big-hearted Zoo family! Congratulations to all of you, and thank you for advancing the Cincinnati Zoo’s conservation mission! The funds received from the Zoo will be used to purchase two e-obs GPS collars that will track fishing cats for a period of six months. This data will give the Urban Fishing Cat Conservation Project a clear understanding of how fishing cats move from one urban wetland to the other, how they interact with humans and how these cats are adapting and surviving in a human-dominated landscape. 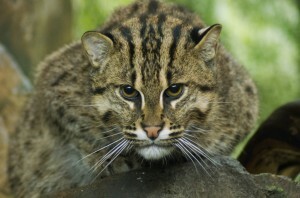 The data will be shared with governmental bodies to come up with an overall strategy to protect Colombo’s urban wetlands with the fishing cat as an ideal ambassador species for this goal. 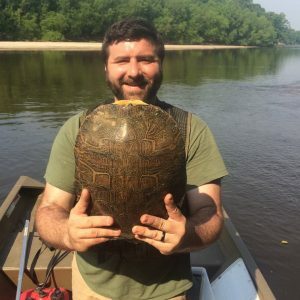 Funding for this proposal will support two projects in the same focal area: surveys for rare and endangered Graptemys (map turtles and sawbacks) in the upper Tombigbee River system and surveys for Green Salamanders at the periphery of their range in northeastern Mississippi. In June, Dr. Will Selman of Millsaps College and Duman will meet in northeastern Mississippi to conduct one week of intensive fieldwork for both projects. Project findings will be outlined in a final report to the Zoo, Mississippi Museum of Natural Science and the U.S. Fish and Wildlife Service. This grant funding will help to purchase an Animal Intensive Care Unit and Dri-Dek Flooring for the unit. Birds are admitted to the raptor center for treatment and are generally in critical condition. Providing supplemental heat to compromised avian patients or young orphaned chicks is critical for their survival. The digital temperature and humidity controls, audio-visual safety alarm, IV line port, supplemental oxygen port and nebulizer bottle found in the Animal Intensive Care Unit will make it possible to give these birds a fighting chance. This project will improve the care we can provide to the birds admitted to the raptor center and reduce the amount of time that birds spend in rehabilitation. The support of the Cincinnati Zoo is of high importance to help better protect the breeding locations of the critically endangered blue-throated macaw in the Laney Rickman Blue-throated Macaw Reserve and to ensure full knowledge of the breeding biology of this majestic bird to prevent this species from going extinct. To improve their breeding sites and increase the success rate of breeding macaws, we urgently need to evaluate their main threats and stop possible poaching of blue-throated macaw chicks. Occupied nest boxes with camera traps and surveillance of the reserve to capture intruders, as well as monitoring the nest boxes, will all help Armonía to improve their measure to increase the success rate of breeding macaws. As the population is expected to contain only 400 individuals, every chick fledging from the nest boxes is of utmost importance. 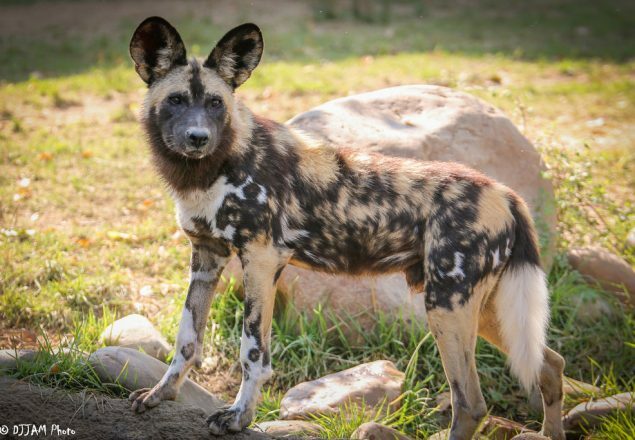 The African Wildlife Conservation Fund’s (AWCF) mission of maintaining healthy and viable populations of African wild dogs and other top predators is achieved through a combination of research, conservation, and education. 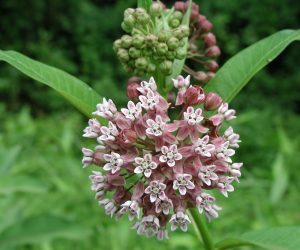 Support from the Cincinnati Zoo continues to be integral to the success of the work being done as the AWCF is reliant on grants and donations. In fact, our contributions the past two years supported the AWCF work that has driven the four-fold increase in the African wild dog population from 36 individuals in 1996 to over 150 individuals in 2018! This funding will support aspects of both the AWCF’s hands-on conservation and monitoring of their resident wild dog packs, including motorbike maintenance on the bikes we were able to help purchase in 2018, as well as their community education and outreach work. By keeping their scouts mobile in the field, it helps to continue to support anti-poaching efforts to mitigate the threat from snaring, removing snares from wild dogs, treating wounds, and continuing to monitor African wild dog populations. For nearly two decades the Cincinnati Zoo has been committed to helping save Florida manatees through its continued participation in the U.S. 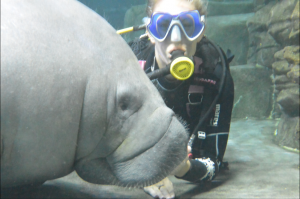 Fish and Wildlife Service’s Manatee Rescue and Rehabilitation Partnership. The African manatee is the most endangered and least studied marine mammal in the world, as well as the least studied large mammal in Africa. Protection and conservation efforts for the African manatee would benefit a range of other marine species that inhabit aquatic and nearshore habitats. This project will greatly increase knowledge of the African manatee in Senegal, and it will result in increased conservation activities for the species. 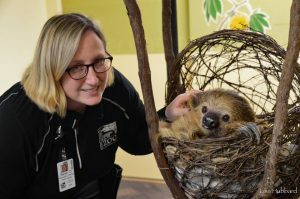 Since 2014, the Cincinnati Zoo has supported The Sloth Institute (TSI) and their mission in Costa Rica. 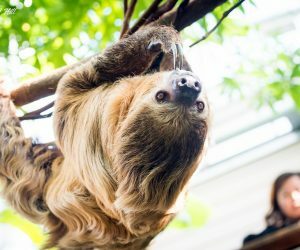 The Cincinnati Zoo is dedicated to its resident sloth, Moe, and a brand new, expanded habitat is currently being made for him. Many of the details and features in his new habitat are based on the knowledge we have gained from our time spent in Costa Rica and the work TSI is doing. Since supporting TSI through the Zoo’s Conservation Fund grants in 2016 & 2017, we were able to purchase necessary VHF tracking equipment for locating our study animals. 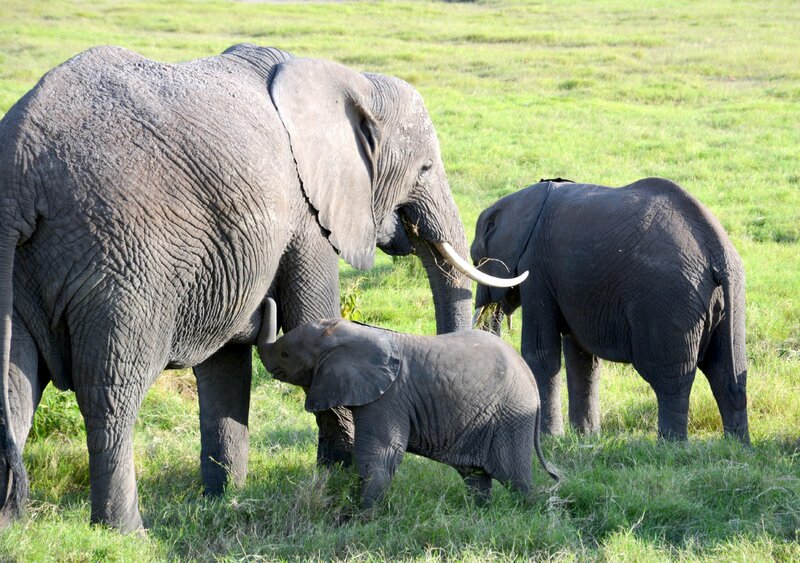 This year, the funds will be used for the continuation of this project with an increased scope on overall reintroduction goals. Together we are improving the process of sloth rescue, rehabilitation, and release in Costa Rica. Saving species with a jar of rotten rat goo!